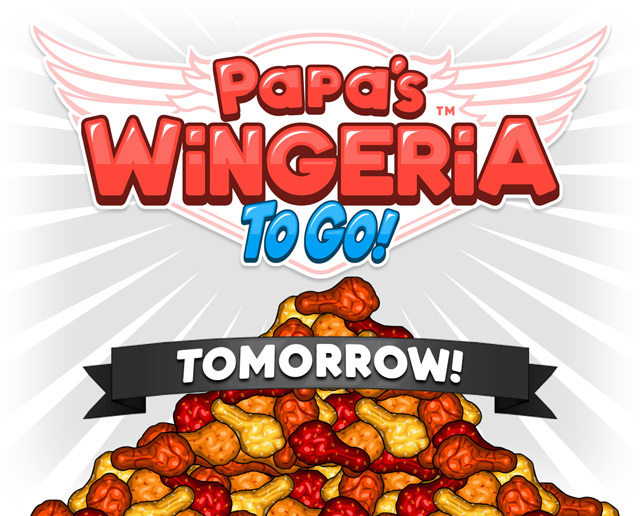 Papa’s Wingeria To Go: Coming Tomorrow!!! We have some exciting news, Papa’s Wingeria To Go will be launching this Friday, February 22nd, 2019!!!! That’s like tomorrow!! Sneak Peek: Sauce and Build Stations! This week we’re going to walk you through the rest of the Stations in Papa’s Wingeria To Go! 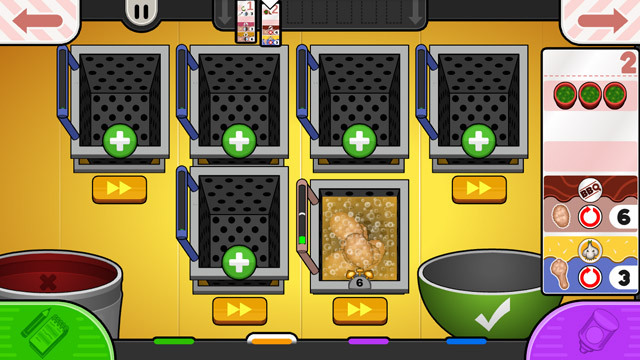 After cooking up your wings and things in the Fry Station, you will head over to the Sauce Station. To sauce your wings, you will first position the correct sauce bottle over the bowl. All the while, a counter is cycling from the number one through twelve. 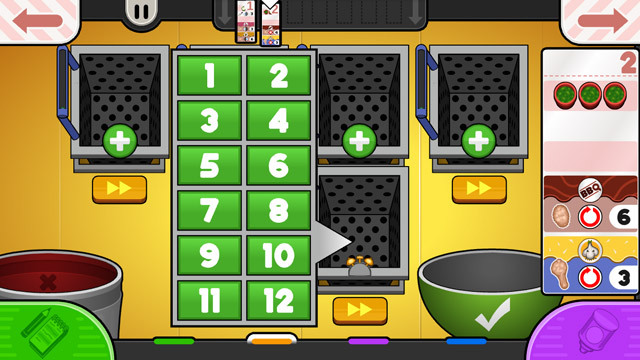 You will want to click the green check button when the number over the bowl matches the number of wings inside. If you do that, you will pour the perfect amount of sauce to cover that many wings. Next, the lid will cover the wing bowl, and you will want to tumble the wings in the sauce. 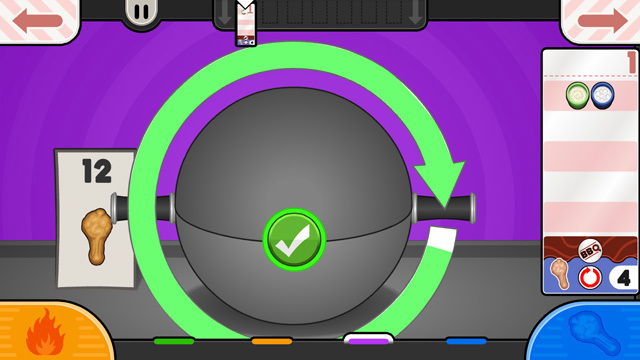 To do this, just click on the check button when the arrows first turn solid green. After that, you will spin the wings to make sure every last one is perfectly covered in sauce. Once you have done that, you’ll head over to the Build Station. Here you will layout your wing platter according to your customers specifications. 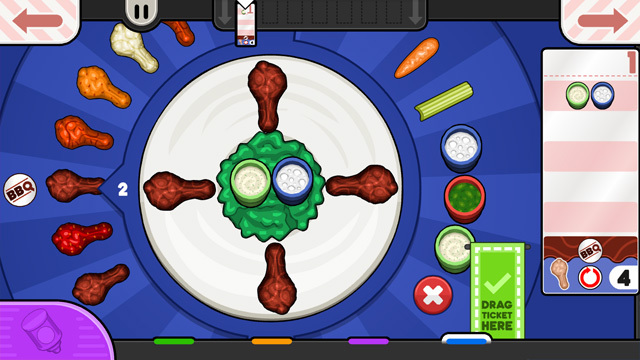 To the left of the platter, you can scroll through all your sauced meats. 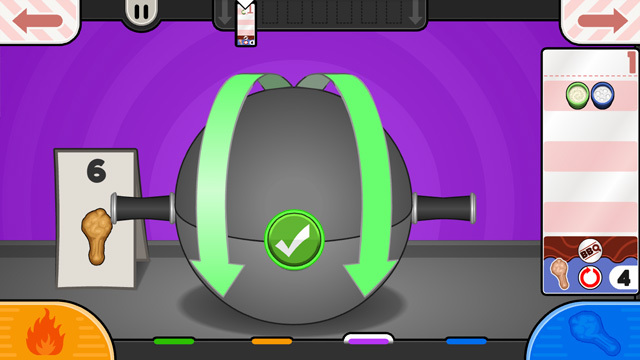 To the right of the platter, you can scroll through all of the sides and dips that you have currently unlocked. Simply drag your ingredients to the platter, and arrange them just right. This order is nice and simple: four BBQ Wings evenly spread out around the platter, with a side of ranch and blue cheese. Layouts will slowly become more challenging as you progress through the game. 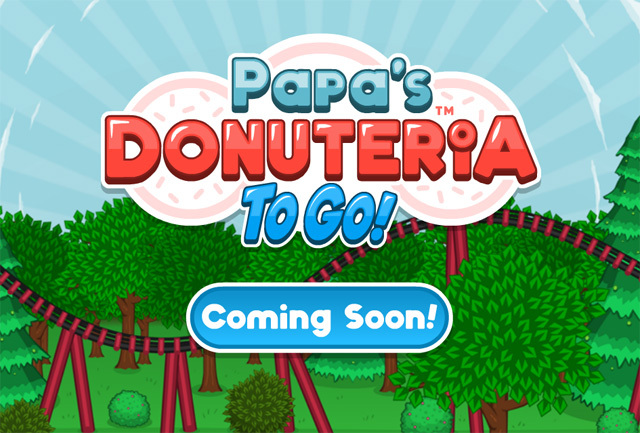 We are back with a new sneak peek of Papa’s Wingeria To Go! 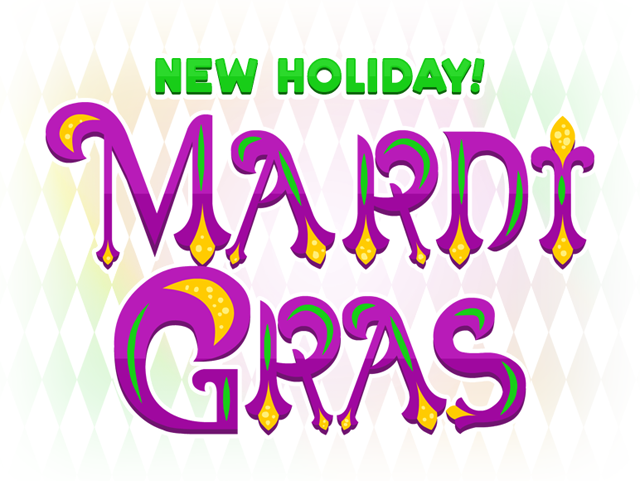 This week we wanted to introduce the holiday of Mardi Gras! This brand new holiday will be making it’s debut in Papa’s Wingeria To Go! During this festive holiday, you will be experiencing some truly unique Cajun flavors. Laissez les bons temps rouler!